Nobless is a multi-gaming org. Centered around profound and talented players that want to make their mark and get the recognition they grind for. 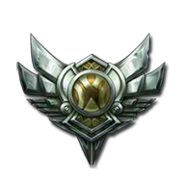 We're currently looking for serious LoL players who want to really succeed. We're a funded team. Currently looking for all Silver/Gold Players and a Diamond/Master coach.Coaches with refrences seeking compensation will be paid. Players will be responible for showing up to practice, practing comps as needed, and overall show that they are capable of holding there own spot on a team. As a coach were looking for someone who has game knowledge and knows how to implment there knowledge in a multitude of ways. Coaches need to be able to do team and individual coaching as needed to help players learn what they can do better and what they should do in certain situations.